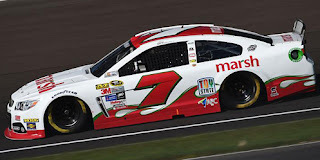 Alex Bowman picked up the 4th last-place finish of his NASCAR Sprint Cup Series career in Sunday’s Crown Royal Presents the Jeff Kyle 400 at the Indianapolis Motor Speedway when his #7 Marsh Supermarkets Chevrolet fell out with engine trouble after he completed 78 of the race’s 164 laps. The finish is Bowman’s third of the season, tying him with Landon Cassill for the most in 2015, and is his first since Kansas, nine races ago. 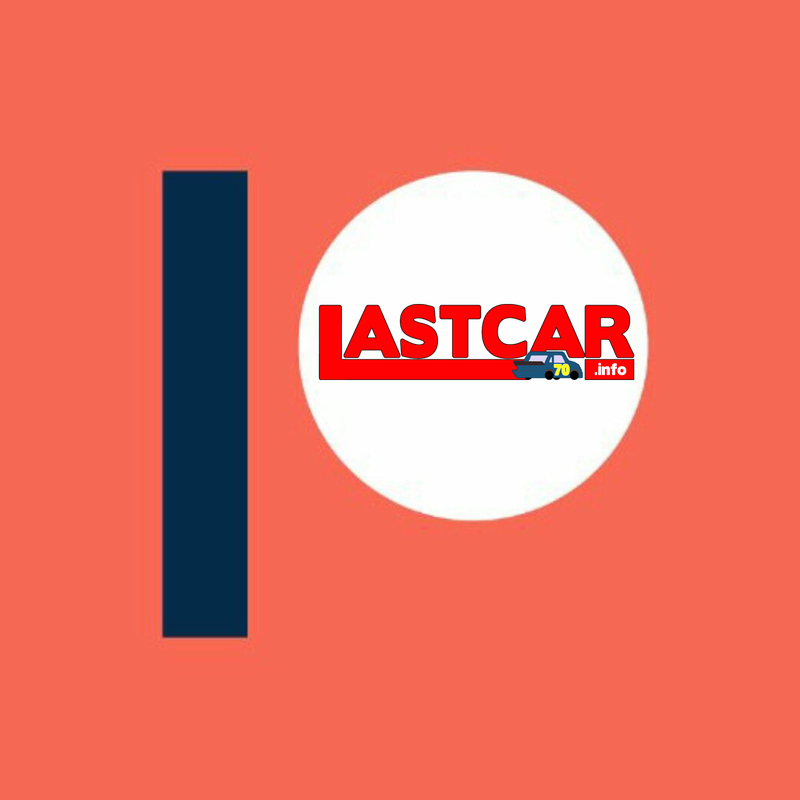 While both Bowman and Cassill are tied with 5 bottom-five finishes each, Cassill leads the 2015 LASTCAR Driver’s Championship by a single bottom-ten finish over Bowman, 7-6. The finish came in Bowman’s 55th series start. Since his last-place run at Kansas, Bowman and the Tommy Baldwin Racing team have continued to struggle to find consistency, never finishing better than a 20th at Dover during that span. At the same time, however, the team had not had a DNF since Kansas, including last week at Loudon, when the team managed to repair Bowman’s car after a right-front brake fire got out of control during pit stops, lifting them past J.J. Yeley for 43rd. The team has also attracted a number of one-race sponsors, including Marsh Supermarkets, who would debut with the team at Indianapolis. NASCAR’s second new aero package allowed for three practice sessions for the 46 teams in attendance to prepare their cars. Bowman timed in 37th in the opening practice on Friday, 41st in the second session, and 38th in Happy Hour. On Saturday’s qualifying session, he timed in 35th with an average speed of 180.325 mph, narrowly avoiding having to rely on Owner Points. Missing the race were Josh Wise, who was slated to make a one-race run in Go FAS Racing’s #32 Brandise Machinery Ford, rookie Jeb Burton with his first DNQ since the Coca-Cola 600, and Reed Sorenson with his second DNQ in his three attempts for Premium Motorsports’ #62. Starting 43rd on Sunday was Ryan Newman, the time disallowed on his #31 Grainger Chevrolet due to a missing passenger-side window. When the green flag dropped, however, Newman was quickly passed by Timmy Hill, whose #98 Curb Record Ford had snapped an axle coming to the green. Hill was eight seconds behind the field as he pulled behind the wall without completing a lap, and he was lapped immediately. It was the latest of several frustrations for the Premium Motorsports / Phil Parsons Racing team. On Friday, the #98 dropped a hunk of Tungsten ballast on the racetrack, then Hill nosed into the outside wall in Happy Hour, forcing the team to assemble a backup car overnight. The car was ready for qualifying, and Hill timed it in 42nd - the slowest car in time trials, but most importantly, in the show - only to lose more than 40 laps on Sunday due to repairs. On Lap 42, Hill returned to the track in 43rd and finally completed his first laps. Ahead of him were only a handful of other lapped cars, including those of BK Racing teammates J.J. Yeley (#23) and Matt DiBenedetto (#83). Then, on Lap 50, a wreck occurred that threatened to shake up the LASTCAR standings. Jeff Gordon, his #24 3M Chevrolet running mid-pack in his final Brickyard 400 start, checked-up to avoid a spinning Clint Bowyer when Gordon lost control and hit the outside wall with the front and rear of his machine. Gordon fell to 42nd by the restart, losing 7 laps to the leaders before finally pulling behind the wall around Lap 73. With nearly half of the race over, it was unclear if Gordon would return to the track in time to finish under power. If the repairs took too long, and if Hill remained in the race, Gordon would end up with his first last-place finish since April 6, 2008, when he crashed out of the Samsung / Radio Shack 500 at Texas. By this point, Hill was still on the track, though nearly 50 laps down as he continued to try and keep pace with the leaders. Gordon was still behind the wall, the Hendrick Motorsports crew working hard to get their driver back on track. On Lap 118, Hill pushed Gordon back to 43rd, and it seemed as though he would remain there. However, just 2 circuits later on Lap 120, Gordon returned to the track with a new front valence. While hanging in the back with Hill for the several late-race restarts, Bowman’s retired car slipped lower in the standings, reaching 42nd on Lap 131 and 43rd on Lap 133, where it would remain for the duration. Gordon and Hill remained 42nd and 41st at the finish with Yeley in 39th. It was Gordon’s first next-to-last-place finish since August 17, 2008, when Marcos Ambrose edged him in the August race at Michigan. Between them in 40th was Trevor Bayne, who lost a lap early, was involved in a peculiar shunting match with Aric Almirola in the late stages, then finally crashed off the nose of Michael McDowell in Turn 1, bringing out the final caution that forced the green-white-checkered finish. *This is the first last-place finish for the #7 in a Cup race at Indianapolis since 2011, when Robby Gordon’s #7 SPEED Energy Dodge lost the engine after 5 laps of the Brickyard 400. *This is both Bowman’s and Tommy Baldwin Racing’s first last-place finish in a Cup race at Indianapolis. *There has still yet to be a repeat last-place finisher in the 21 Cup races run at Indianapolis. 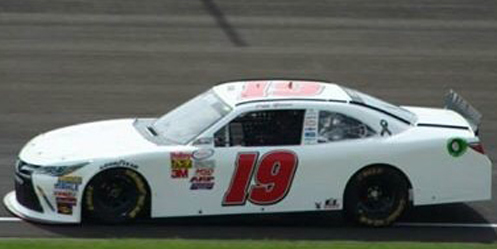 Jeff Green picked up the 70th last-place finish of his NASCAR XFINITY Series career in Saturday’s Lilly Diabetes 250 at the Indianapolis Motor Speedway when his unsponsored #19 TriStar Motorsports Toyota fell out with a vibration after he completed 2 of the race’s 100 laps. The finish was Green’s tenth of the season and his third in a row. He now has 75 last-place finishes across all three of NASCAR’s top divisions, nearly double that of second-ranked Joe Nemechek’s mark of 39. If Green finishes last in at least six of the remaining fifteen races in 2015, he will beat his single-season NASCAR record of 15 last-place runs from 2013. 40 drivers arrived to time their way in to 40 spots in Saturday’s field, so this week Jimmy Means Racing did not enter their second team, #79. As before, Green did not participate in the opening practice session on Friday, but turned in the 31st-fastest time in Happy Hour. He secured the 35th starting spot for Saturday’s race with an average speed of 168.290 mph, ranking him second among the drivers ordered by Owner Points. The 40th starting spot on Saturday belonged to Mike Harmon, who was piloting one of three Dodges in the field. By Lap 3, however, Green had fallen to the back of the field and could be seen during the broadcast coming down pit road at the start of the lap. Finishing 39th in the race was Josh Reaume, whose #40 Phoenix Air Dodge was prepared with assistance from Wayne Peterson’s ARCA Racing Series team. Reaume nearly collided with leader Kyle Busch as he was lapped off Turn 2 and pulled off the track after 8 laps. 38th went to Morgan Shepherd, citing handling issues on his #89 Racing With Jesus / Malamphy Electric Inc. Chevrolet. Rounding out the Bottom Five were Blake Koch and David Starr, two of Green’s teammates at TriStar, who tangled in Turn 1 and crashed on Lap 23. *This was Green’s first last-place finish in the XFINITY Series race at Indianapolis since 2013, when his #10 TriStar Motorsports Toyota fell out with a vibration after 4 laps. When combined with Blake Koch’s run in this event last year, TriStar has claimed the last three of the event’s four last-place finishes. Stew Hayward picked up the 1st last-place finish of his NASCAR Camping World Truck Series career in Wednesday night’s 1-800-CarCash Mudsummer Classic at the Eldora Speedway when his #74 Hot Shot Express RAM fell out with engine trouble after he completed 78 of the race’s 154 laps. The finish came in Hayward’s series debut. Hayward, a dirt track veteran from Calgary who competed in the WISSOTA Alberta Late Models in 2009, was selected on Monday to be the dirt track “ringer” for Mike Harmon’s single-vehicle Truck Series team. Harmon’s #74 had made every race this season other than two early-season rounds at Daytona and Martinsville. The team’s best finish of the year was a 19th at Gateway with second-year driver Jordan Anderson, who’s shared Harmon’s Chevrolet with Tim Veins and Paige Decker. For Eldora, however, Hayward would run the only RAM entered in the race, a truck with headlight decals from a Chevrolet Impala stock car. Hayward’s RAM was one of two trucks that didn’t complete a lap in Wednesday’s opening practice, then put up the slowest time in Happy Hour after seven laps. He then qualified 31st out of the 34 entries at an average sped of 79.097 mph, placing him last in the first 7-truck heat race later that night. Hayward stayed on the lead lap in the 10-circuit sprint, but didn’t pass any other trucks, sending him to 7th in the 9-truck Last Chance Qualifier. Hayward again finished in the 7th spot as the final truck on the lead lap, but successfully transferred into the 31st spot for the 150-lap main event. Two other dirt track drivers missed the race. The first was 17-year-old late model driver Madeline “Mad Maddie” Crane, whose #80 Air Tec / Atlanta Air Exchange Ford was too badly damaged to start the LCQ. The other was Jake Griffin, selected as defending Eldora last-placer Mike Affarano’s ringer in the #03 Outdoor Power / PADD / East Wraps Chevrolet. Griffin, just 16 years old, was 8th in both practice sessions, but slipped to 29th in qualifying and struggled to find speed after, winding up 4th in the LCQ - two spots from transferring. The 32nd and final spot in the main event belonged to Wendell Chavous, whose unspnsored #94 Premium Motorsports Chevrolet pulled off the track after 3 laps of the LCQ, but was locked-into the field based on the team’s number of attempts. Chavous’ first Truck start since Charlotte saw him trail until Lap 2, when Jennifer Jo Cobb took the spot in her #10 Driven2Honor.org Chevrolet. Chavous took the spot back on Lap 5 moments before the first of 13 cautions fell for a spin involving Korbin Forrister’s #08, who voluntarily decaled his unsponsored #08 Chevrlet with logos promoting Donald Trump’s candidacy for President. Forrister held the spot on the restart and remained there until a wreck on Lap 15 involving six trucks dropped to last the #35 Performance Auto Chevrolet of Cody Erickson, who won the LCQ after failing to make the field in 2014. Under the caution, both NASCAR’s online leaderboard and the ticker on FOX Sports 1 encountered an identical scoring error regarding the final few spots in the field. It began with Erickson’s #35, whose damaged Chevrolet was shown as the first to be lapped under his caution. As the laps continued, scoring indicated he ran 4 more laps before pulling out again on Lap 25, despite the truck being shown on the track. On Lap 42, Chavous was shown in last, 1 lap down, with Erickson’s truck “tied” for 31st by being unscored after 18 circuits. At the same time, Cole Custer’s #00 Haas Automation Chevrolet was 8 laps down in 27th along with 30th-place Cobb, but between them were lead-lap vehicles of Hayward and Forrister. It wasn’t until the first competition caution on Lap 58 for the end of the first segment that scoring was corrected with the entire field back on the lead lap except Cobb, apparently because she spun not long before the caution on Lap 48. On Lap 71, with the second segment under way, Custer again dropped into the Bottom Five when he made an unscheduled stop for a cut right-front tire. The green-flag stop cost him multiple laps, dropping him to last behind Cobb as the only other driver off the lead lap. Three circuits later, as Custer’s team continued to make repairs, Hayward pulled off the track with engine issues as the listed cause. 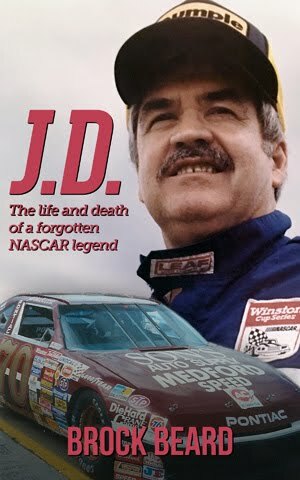 On the 84th circuit, Custer returned to competition 18 laps down, and as Hayward retired from the race, he slipped to last on Lap 97, where the truck remained the rest of the night. Custer came home 29th while Cobb just missed the Bottom Five in 27th. Between Hayward and Custer in the Bottom Five were Chad Boat in the #15 CorvetteParts.net / Pristine Auctions Chevrolet and the MAKE Motorsports #1 Altec / BurnieGrills.com Chevrolet of Travis Kvapil. Kvapil, who used up the right side of his machine in his heat race and the LCQ, tangled with Boat on Lap 112, sending Boat hard into the outside wall with the driver’s side. 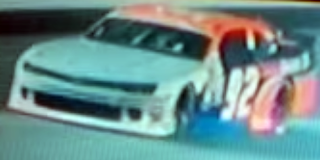 Boat was uninjured, but was out of the running in his Truck debut, and Kvapil followed a few laps later. The final spot in the group went to Brad Keselowski, whose first foray into dirt racing took a detour when his #29 Cooper Standard Ford backing into the outside wall in Turn 2, but not bringing out a yellow. On a night where Christopher Bell won in just his third series start for Kyle Busch Motorsports, the most impressive underdog story of the night belonged to Bobby Pierce. Just 18 years old and last year’s flag-to-flag winner of the DIRTcar Fall Nationals at the Eldora track, Pierce combined the efforts of his dirt track team with that of Mike Mittler, the only Truck Series owner to compete in at least one race in each of the series’ seasons since 1995. On Wednesday, Pierce drove an old Chevrolet from the Mittler stables to top-five runs in practice, the pole, and a heat race victory before coming home a close 2nd to Christopher Bell in the main event. Pierce managed this despite the rear decklid cover coming loose on his #63 RPMServicesLLC.Global Chevrolet in the final 10 laps. In his first-ever Truck Series start, Pierce gave the Mittler team its first-ever top-five finish in 213 combined starts. The team’s previous best was an 8th by current Cup star Carl Edwards at Kansas on July 6, 2002. Pierce’s pole was also the team’s first pole, improving on a 5th by Edwards at Lucas Oil Raceway on August 2, 2002. L.D. Austin's #74 1957 Chevrolet at Daytona, 1959.
of the Daytona Qualifying Races in this car. *This is the first last-place finish by the #74 at a dirt track in one of NASCAR’s top three divisions since August 22, 1959, when L.D. 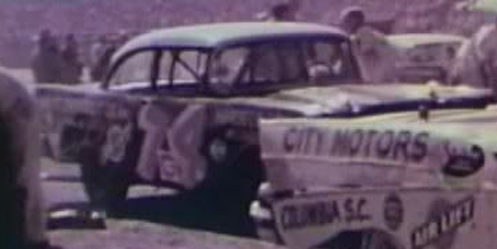 Austin’s 1957 Chevrolet crashed after completing 16 of 200 laps at half-mile Greenville-Pickens Speedway in Greenville, South Carolina. It was Austin’s 3rd of 5 career last-place finishes in a career spanning 169 races from 1957 to 1962. Buck Baker won the race that day over Cotton Owens and Ned Jarrett, the only three cars on the lead lap. *This is the first last-place finish for a RAM in the Truck Series since last summer at Mosport, when Caleb Roark’s #0 JJC Racing RAM lost the clutch on the opening lap of the Chevrolet Silverado 250. *This is the first last-place finish for both the #74 and the Mike Harmon Racing team in the Truck Series since last October at Talladega, when Harmon’s own #74 Mike Harmon Racing Chevrolet lost the engine on the opening lap of the Fred’s 250 Powered by Coca-Cola. J.J. Yeley picked up the 15th last-place finish of his NASCAR Sprint Cup Series career in Sunday’s 5-Hour Energy 301 at the New Hampshire Motor Speedway when his #23 Dr. Pepper Toyota fell out with rear gear issues after he completed 202 of the race’s 301 laps. The finish was Yeley’s second of the 2015 season and his first since Texas, 12 races ago. 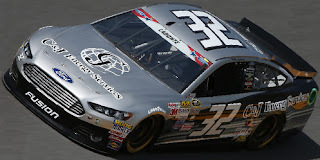 The finish occurred in Yeley’s 238th series start. Just two races after the round at Texas, Yeley picked up a season-best 14th at Talladega, rebounding from a frustrating Daytona 500 where he came home 40th in a backup car after the primary was lost in a qualifying crash. In the nine other races in that span, however, Yeley has finished no better than a 29th earned at Dover. Meanwhile, in the XFINITY Series, where he runs for points driving the #28 Toyota for JGL Racing, Yeley stole the show last week in Kentucky by starting on pole for the Friday race by virtue of leading the weekend’s only practice session. During Loudon’s XFINITY events, Yeley followed-up his Kentucky performance with the 6th-fastest time in Happy Hour and a 15th-place finish in the race, moving him from 15th to 14th in the series standings. On the Cup side, Yeley’s #23 was just 40th-fastest in Friday’s opening practice and secured the 39th starting spot in qualifying with an average speed of 129.384 mph. On Saturday, he remained 39th in the final two sessions. On Sunday, the 43rd starting spot belonged to Timmy Hill, who was making his first Cup start since last November at Texas. Hill was tabbed as the new driver of the #98 Residence Inn Ford when Josh Wise left the Phil Parsons Racing / Premium Motorsports team on Monday following Wise’s first last-place run since he joined the team in 2013. By the end of the first lap, Hill was promptly passed by Canadian racer Derek White, who was making his Cup debut in Joe Falk’s #33 Braille Battery / Grafoid Chevrolet. White, the owner of Motorsports Business Management which fields the #13 and #40 entries in the XFINITY Series, was off the pace all afternoon, frequently running high in the corners to make room for the leaders. White was the first to lose a lap on Lap 16, went a second down on Lap 42, a third on Lap 60, and a fourth on Lap 77. With the exception of a Lap 25 restart, where K&N East Series competitor Eddie MacDonald briefly held the spot in his #32 DraftDemons.com Ford for Go FAS Racing, White held 43rd from the start all the way to Lap 99. White first lost 43rd to Alex Bowman, who was sent behind the wall after a frightening turn of events on Lap 98. Running near the back of the field, Bowman’s unsponsored #7 Tommy Baldwin Racing Chevrolet cut down a right-front tire under green and made an unscheduled stop for fresh right side rubber. As he pulled away, the smoldering debris under the hood ignited, triggering a large fire that forced him to stop at the exit of pit road. As the third caution ensued, Bowman escaped apparently unharmed while crews put out the flames. The next time by on Lap 99, Bowman’s lapped machine promptly took the last spot from White, and as the #7 was towed behind the wall, it appeared he would stay there the rest of the afternoon. Somehow, the Baldwin team managed to make repairs to Bowman’s machine and send him back onto the track 67 laps down on Lap 161, at which point all 43 cars were again still running around the track. Soon after, however, the Toyotas of BK Racing began to struggle. The first was current Rookie of the Year leader Jeb Burton, whose #26 Maxim Fantasy Sports Toyota went behind the wall with a broken gear around Lap 178. By Lap 186, Burton had slipped beneath White for the 42nd spot and was about 50 circuits away from taking last from Bowman. Burton closed within just 10 laps of passing Bowman for last when he returned to the track on Lap 192. Moments later, around Lap 205, Yeley’s Toyota pulled into the garage with a broken hub seal. With less than 100 laps remaining, the BK Racing team fought to get his car back on track, but time was not on their side. Lapped early in the event, Yeley soon slipped to 41st and took 42nd from Burton on Lap 263. Now with less than 40 laps remaining in the event, Yeley’s car became the first retiree from the event. And on Lap 273, with just 28 laps remaining, Yeley took the last spot from Bowman. Bowman remained 42nd with Burton 41st and the lapped Derek White finishing on the outside of the Bottom Five in 39th. Completing the group was 40th-place Justin Allgaier, the Coca-Cola 600 last-placer, whose #51 Brandt Chevrolet smoked heavily in the final 100 laps from a loose oil coolant line. Allgaier lost 17 laps by the finish and slowed coming off Turn 4 as Kyle Busch took the white flag. Seconds later, Bowman cut down a third right-front tire and collided with the outside wall in Turn 2, ending the race under caution. Still, as of this writing, both Bowman and Allgaier are listed as finishing under power, leaving Yeley as the only retiree. A great story during the Loudon weekend revolved around Landon Cassill, whose #40 Interstate Moving Services / Precon Marine, Inc. Chevrolet showed speed all weekend. Cassill was 21st-fastest in the opening session but leapt to 13th on the grid for Sunday, just one spot shy from a run at the pole. After running 24th and 30th in Saturday’s practices, Cassill remained in the Top 20 for most of the race’s first half, battling Denny Hamlin in 15th at the one-third mark. Although cautions and pit strategy shuffled him to a 30th-place run, it was another excellent showing by Hillman-Smith Motorsports, a team entering just its third year of existence. *Yeley is the first last-place finisher to be the only retiree from a Cup Series race since last September when Yeley himself parked BK Racing’s #93 Burger King / Dr. Pepper Toyota after 31 laps of the Federated Auto Parts 400 at Richmond. *This marks the first last-place finish for the #23 in a Cup race at New Hampshire, but the second in a row at the track for BK Racing, whose #93 “start-and-park” entry also trailed last September’s race with rookie Clay Rogers. *The 202 laps Yeley completed are the most by a Cup Series last-placer at New Hampshire since September 14, 2008, when Joe Nemechek’s #78 Furniture Row / DenverMattress.com Chevrolet ran 218 laps of the Sylvania 300 before falling out with crash damage. *This marks Toyota’s 125th last-place finish in the Cup Series. 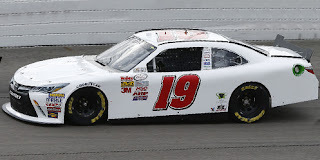 Jeff Green picked up the 69th last-place finish of his NASCAR XFINITY Series career in Saturday’s Lakes Region 200 at the New Hampshire Motor Speedway when his unsponsored #19 TriStar Motorsports Toyota fell out with a vibration after he completed 3 of the race’s 200 laps. The finish was Green’s ninth of the season, his second in a row, and his fifth in the last seven races. It occurred in his 404th series start. Green did not complete a timed lap in Friday’s opening practice session, but clocked in 30th in Happy Hour and stayed in that spot in qualifying, turning in a lap of 123.888 mph. Green was one of 39 entries for the race, guaranteeing him a spot, and Jimmy Means again entered his second car as a post-entry, this time putting Matt Frahm back in the #79 Jimmy Means Racing Chevrolet. Frahm secured the 40th starting spot, but it was Green who first pulled behind the wall after three laps. Josh Reaume, this week the driver of Derek White’s #40 Braille Battery / Grafoid Dodge for Motorsports Business Management, was bumped to 38th as two entries from JD Motorsports struggled in the first quarter of the race. First to fall out from Johnny Davis’ stable was Harrison Rhodes, whose unsponsored #0 Chevrolet lost the engine after 16 laps and ended up 39th. 37th then went to Ross Chastain, whose #4 Watermelon.org Chevrolet crashed off Turn 2 on Lap 37. Finishing 36th was the #89 Racing With Jesus Chevrolet of Morgan Shepherd, which extended driver and team’s Bottom Five streak to nine straight starts. *This marks Green’s third last-place finish in the previous four XFINITY Series races at New Hampshire. *This is the first last-place finish by the #19 in an XFINITY Series race at New Hampshire. Josh Wise picked up the 5th last-place finish of his LASTCAR Sprint Cup Series career in Saturday’s Quaker State 400 at the Kentucky Speedway when his #98 Big Red Ford was involved in a two-car accident that ended his run after 17 of the race’s 267 laps. The finish was Wise’s first of the 2015 season and his first in a Cup Series race since October 7, 2012, when his #26 MDS Transport Ford overheated after 5 laps of the Good Sam Roadside Assistance 500 at Talladega, 96 races ago. It is also the first last-place finish for Phil Parsons Racing since November 17, 2013 when Michael McDowell lost the brakes 63 laps into the Ford 400 at Homestead, 54 races ago. The 2013 season was McDowell’s fourth and last for Parsons, whose team’s frequent “start-and-park” efforts earned them four LASTCAR titles from 2009 through 2013. For 2014, Parsons was finally ready to attempt full-race runs for a full season, and Wise was brought from Front Row Motorsports’ third team to replace McDowell, who was headed to Leavine Family Racing. In their first race together, Wise finished a surprising 5th in the Budweiser Duel at Daytona, giving them 11th on the grid for the Daytona 500. Although Wise DNQ’d for the next race at Phoenix, driver and team earned a number of respectable runs early in the season, including a 23rd at Bristol and a 21st at Darlington. Wise and Parsons’ efforts soon attracted the attention of a Kickstarter program started by Reddit users and the group’s fledgling Dogecoin Digital Currency. The pair funded Wise’s race at Talladega, where the #98 again improved on their season-best finish with a 20th-place run. The next month at Charlotte, Wise’s growing number of supporters voted driver and team into the NASCAR Sprint All-Star Race, where he came home 15th in a field of 22. At season’s end, Wise finished 36th in points with just four DNFs. And for the first time in its existence, Phil Parsons Racing did not finish last a single time all season. This year, Wise and Parsons have continued to run full races, though the team has restructured behind the scenes. The first switch was from 2014’s black Chevrolets to this year’s white Fords, and an ill-timed electrical issue in the Budweiser Duels that left the team last and out of the Daytona 500 field. The team finished no better than 30th in the eight races that followed, though at Fontana celebrated business partner Mike Curb’s 200th start as a Cup Series owner. At Talladega, the team began to be absorbed into Premium Motorsports, which currently fields the #62 Chevrolet. The car changed sponsors that weekend and finished a season-best 10th. The font of the car’s numbers changed next at Charlotte, and by Sonoma, when Dogecoin returned, both car and hauler carried Premium’s logos. Officially, however, Mike Curb is still listed as the owner. 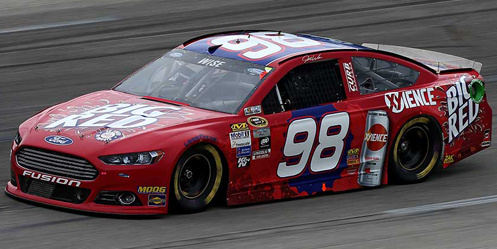 For Kentucky, Wise’s #98 was sponsored by the Big Red soda company, which in the past had run its logos on cars owned by Germain Racing and Tommy Baldwin Racing. Wise turned in the 39th-fastest time in Friday’s opening practice and 37th in Happy Hour. Qualifying was canceled by rain, and the first practice speed put him 37th on the grid. Unfortunately, this also meant three part-time teams missed the show. For the second-straight week, Ryan Blaney’s #21 and Michael McDowell’s #95 headed home early, joined by Travis Kvapil, who was set to make both his and The Motorsports Group’s first Cup attempt since last month at Dover. The 43rd starting spot in Saturday’s race went to Alex Kennedy, who made his 8th start of the season and first since Sonoma in a black unsponsored #33 Chevrolet for owner Joe Falk and Circle Sport. Kennedy held the spot through the moment he became the first to lose a lap on Lap 17 when trouble broke out ahead of him in Turn 3. As leader Brad Keselowski ran up on the trailing J.J. Yeley and Wise, both trying to stay on the lead lap, Yeley lost control of his #23 TraqGear / Coolshirt Toyota entering the corner, clipping Wise and causing the #98 to smack the outside wall. The first caution fell for Wise’s smoking car as it headed down pit road and into the garage. What first appeared to be only a broken track bar apparently proved much worse as he never returned to the track, snagging 43rd from Kennedy under the yellow and holding it the rest of the night. 42nd and 41st went to Yeley’s BK Racing teammates Matt DiBenedetto and Jeb Burton, both involved in a multi-car accident on Lap 144. Entering Turn 1, Burton’s #26 Maxim Fantasy Sports Toyota was rear-ended by Ricky Stenhouse, Jr.’s #17 Fifth Third Bank Ford, sending Burton into a spin in front of DiBenedetto’s #83 Anest Iwata Toyota and Tony Stewart’s #14 Rush Truck Centers Chevrolet. DiBenedetto smacked the outside wall as the spinning Burton pinched him high. All drivers involved returned to the track, but DiBenedetto slowed on the restart and retired with crash damage while Burton’s suspension failed thirty laps later. Kennedy and Yeley rounded out the Bottom Five, both laps down to race winner Kyle Busch. *Neither Wise nor the #98 had ever before finished last in a Cup Series race at Kentucky. *Wise is the 10th different last-place finisher in the previous 10 Cup Series races. Jeff Green picked up the 68th last-place finish of his NASCAR XFINITY Series career in Friday’s Kentucky 300 at the Kentucky Speedway when his unsponsored #19 TriStar Motorsports Toyota fell out with a vibration after he completed 3 of the race’s 200 laps. The finish was Green’s 8th of the season and his first since Chicagoland, two races ago. At this current rate, Green is set to eclipse his 2013 record of 13 last-place finishes in a single season. Through 16 races that year, Green had finished last 7 times. Following his DNQ at Daytona, Green returned to pilot the #19 in his native Kentucky as one of 39 drivers on the preliminary entry list. 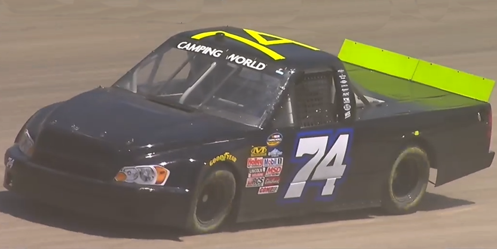 Just as at Chicagoland two races ago, the field grew to 40 by race weekend when Jimmy Means brought back Joey Gase’s renumbered backup car #79, this week driven by Truck Series competitor Ryan Ellis. Ellis ran just one lap in Thursday’s lone practice, the slowest of the field, and Green was 30th. Both started in those positions when rain washed out qualifying. When the green flag flew on Friday night, it first crossed the hood of J.J. Yeley, whose unsponsored JGL Racing #28 Toyota surprised with the fastest speed in the practice session at 174.967 mph. Among the drivers Yeley outpaced in practice were last week’s Daytona winner Dale Earnhardt, Jr. (16th), defending series champion Chase Elliott (14th), and dominant “Buschwhackers” Kyle Busch (6th) and Brad Keselowski (4th). Yeley never led a lap on Friday and came home 18th, and though it came about because of weather, Yeley’s starting spot was owner Gregg Mixon’s first-ever front row start in NASCAR. In 200 previous combined starts, the Mixon team’s only other start better than 14th was Yeley’s 9th-place run in qualifying at Daytona in February. Just 3 laps into the race, as caution fell for John Wes Townley’s stuck car in the infield grass, Green followed Ellis to the garage area, where both retired for the night. The next two cars left after 10 laps as Morgan Shepherd’s #89 Racing With Jesus Chevrolet followed Josh Reaume’s #40 Braille Battery / Grafoid Dodge. Motorsports Business Management team owner Derek White, driving Reaume’s team car the #13, brought out the fourth caution of the night when his Toyota hit the wall in Turn 4. *This marks Green’s fourth last-place finish in the past five XFINITY Series races at Kentucky. *The #19 had never before finished last in an XFINITY Series race at Kentucky. 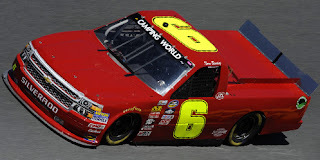 Norm Benning picked up the 8th last-place finish of his NASCAR Camping World Truck Series career in Thursday’s UNOH 225 at the Kentucky Speedway when his unsponsored #6 Norm Benning Racing Chevrolet fell out with engine issues after he completed 2 of the race’s 145 laps. The finish was Benning’s 3rd of the season and his first since Charlotte, five races ago. Benning now re-akes the 2015 LASTCAR Truck Series lead from Caleb Roark, who had tied Benning last month at Iowa. Benning was originally to be one of 34 entrants for the Kentucky race, but the list was pared down twice to 31, marking the second short field of 2015. The first change came Wednesday with the withdrawal of Kyle Busch Motorsports’ fourth entry, a #52 Toyota to be driven by Christopher Bell. The #52 was withdrawn as Bell was tabbed as the departing Justin Boston’s replacement in KBM’s #54. The next two withdrawals came Thursday as both Mike Affarano in the #03 and the second #36 Chevrolet fielded by Mike Mittler - the latter without a listed driver - were removed. Kentucky’s persistent rains canceled both practice and qualifying for the third-tier series, and Benning secured the 24th starting spot based on his 26th-place ranking in Owner Points. During the 22-lap green flag run before the first competition caution of the night, Benning became the first retiree after 2 laps with engine trouble. Ryan Ellis followed fourteen laps later with electrical issues on MAKE Motorsports’ #50 Shane Duncan Band “Life’s Snooze Bar” Chevrolet. Rounding out the Bottom Five were B.J. McLeod, his fifth-straight bottom-five finish in as many starts in 2015 driving the #45 Tilted Kilt Chevrolet, Jordan Anderson in owner-driver Mike Harmon’s #74 Battery Saver Racing Chevrolet, and Caleb Holman, whose crash on Lap 126 left him with his first DNF of the season in the #75 Food Country USA Chevrolet. *This is the first last-place finish for both Benning and the #6 in a Truck Series race at Kentucky. *Benning’s last-place finish ends a three-year streak by Jennifer Jo Cobb Racing’s #0, which trailed the previous three races here with Blake Koch (2012), Chris Lafferty (2013), and Ryan Ellis (2014). Jo Cobb’s #0 was not entered in Thursday’s race while Cobb herself came home 23rd in the #10. *Chevrolet has now finished last in 9 straight Truck Series races and in 14 of the last 15. Bobby Labonte picked up the 14th last-place finish of his NASCAR Sprint Cup Series career in Sunday’s Coke Zero 400 at the Daytona International Speedway when his #32 C&J Energy Services Ford fell out in a multi-car accident that ended his race after 2 of the event’s 161 laps. The finish was Labonte’s first in the series since June 23, 2013, when his #47 Kingsford Toyota lost the engine on the opening lap of the Toyota / Save Mart 350 at the Sonoma Raceway, 73 races ago. Sunday’s finish occurred in Labonte’s 724th series start. He now stands tied for 11th in the all-time LASTCAR Cup Series rankings, tied with Mike Skinner and J.J. Yeley. Labonte, the 2000 series champion and a 21-time race winner, currently drives a limited schedule in Frankie Stoddard and Archie St. Hilaire’s #32 Ford. He will run only the season’s four restrictor-plate races, taking over duties for his older brother and two-time champion Terry Labonte, who retired following the Talladega race last fall. Last year, Labonte finished 15th in the Daytona 500 driving a second car for HScott Motorsports, then timed in 4th for the July race driving for Joe Falk before a mid-race crash left him 26th. At SpeedWeeks in February, Labonte’s #32 was one of several cars destroyed in a controversial wreck during qualifying, the damage sustained after rear-ending Clint Bowyer’s Toyota forcing the team to a backup. Despite this, Labonte came home 24th in the Daytona 500 with the car intact, then returned to finish 27th at Talladega. With the #32 shared this season by drivers Mike Bliss, Richmond last-placer Joey Gase, Travis Kvapil, and most recently Boris Said last week at Sonoma, Labonte returned from a weekend at the Goodwood Festival of Speed for another Cup race. Labonte’s 24th in the Daytona 500 remained Go FAS Racing’s best finish of 2015. Labonte ran 40th-fastest in the opening practice session and improved to 36th in Happy Hour, but when qualifying was cancelled by rain, the field was set by the first session’s speeds, leaving him 38th. The two drivers who missed the race were Michael McDowell, who was 15th in Happy Hour but ended up with his first DNQ since Talladega, and Ryan Blaney, 4th at Talladega, but left with the Wood Brothers’ first DNQ since the team scaled back to a partial schedule in 2009. Starting 43rd on Sunday’s rain-delayed race was Brendan Gaughan, who by virtue of Premium Motorsports’ full-season schedule was able to make his first Cup start since Pocono last month. Gaughan’s white Vydox Plus Chevrolet held the spot during the first two laps before trouble broke out off Turn 3. David Gilliland, who last week finished 43rd at Sonoma, was racing Clint Bowyer for 5th when the two cars made contact off Turn 4, sending Gilliland into a spin. Eight other cars lost control trying to avoid Gilliland’s #38, and Labonte found himself right in the middle of the mess. When timing and scoring reset following the wreck, Labonte was credited with the 43rd spot with the damaged cars of Gilliland, Jeb Burton, Joey Logano, and Danica Patrick rounding out the Bottom Five. Of this group, only Labonte failed to return to the track, though NBC did not officially list him as “OUT” until Lap 98. The rest of the Bottom Five wasn’t set until Lap 154 as the other drivers involved in the Lap 3 wreck returned to the track. Jeb Burton, 42nd upon Labonte’s retirement, brought is #26 Maxim Toyota back on track on Lap 39 and ultimately came home 36th. Gilliand, 42nd after Burton’s return, followed on Lap 58, spun on Lap 60 for a cut right-rear tire, then rejoined the field on Lap 71 to salvage a 40th-place run in the #38 Florida Lottery Ford. Michael Annett’s camouflaged #46 Pilot Flying J Chevrolet completed a few more laps than Gilliland after the Lap 3 crash and also returned on Lap 58, eventually making it to 37th at the checkered flag. On Lap 86, Carl Edwards, who had already spun his #19 Subway Toyota off Turn 4, lost control again after contact from Kyle Larson’s #42 Coca-Cola Chevrolet in Turn 2. As Edwards slid up the track, he was rear-ended hard by the #33 Shore Lodge Chevrolet of Talladega last-placer Brian Scott, lifting the rear of Edwards’ car from the track. Both Edwards and Scott retired after the crash and dropped into the Bottom Five. Jeb Burton passed the pair on Lap 124, Annett did the same on Lap 136, and Gilliland followed on Lap 150 to drop Edwards and Scott to 41st and 42nd, respectively. Annett held 39th until Lap 154 when he passed Larson, who was also involved in a second accident that ended his night on Lap 106, and eventual 38th-place finisher Martin Truex, Jr. The finish of Sunday’s race was marred by a terrifying crash in the tri-oval that tore apart Austin Dillon’s #3 Bass Pro Shops Chevrolet and injured three fans in the grandstands. The ensuing accident damaged nearly every car from 4th on back, but did not prevent a number of surprising finishes. Trevor Bayne scored his second top-ten finish in the last three races by coming home 9th in his #6 AdvoCare Ford. Landon Cassill, 43rd at Daytona in February, ran in the Top 10 all night and came home 13th, one spot shy of his career-best Daytona finish of 12th in the 2014 Daytona 500. And after starting last, Brendan Gaughan ran as high as 14th in the final stages before equaling his season-best 28th at Atlanta. In his other seven Cup starts in 2015, Gaughan had finished no better than 34th. 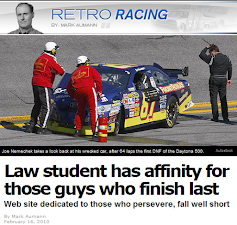 *This is Labonte’s third last-place finish in a Cup Series race at Daytona. The first came on July 3, 1993, when his #22 Maxwell House Ford was involved in a five-car pileup that stopped him 21 laps into the Pepsi 400. It was Labonte’s first-ever last-place finish in Cup in his 17th career start and occurred during his rookie season driving for owner Bill Davis. The other finish came in the 2005 Daytona 500 on February 20 of that year when his #18 Interstate Batteries Chevrolet lost the engine after 14 laps. *This is the first last-place finish for the #32 in a Cup race at Daytona since July 5, 2003 when Ricky Craven’s Tide Pontiac was involved in a seven-car crash that ended his race after 79 laps. No other cautions fell in the final 81 laps and then-rookie Greg Biffle went on to score his first Cup victory on fuel mileage. Dexter Bean picked up the 2nd last-place finish of his NASCAR XFINITY Series career in Saturday’s Subway Firecracker 250 at the Daytona International Speedway when his #92 CrashClaimsR.us Chevrolet fell out with a vibration after he completed 6 of the race’s 104 laps. The finish was Bean’s second of 2015 and his first since the season-opening round at Daytona, 14 races ago. The finish occurred in Bean’s third series start and his first since the February race. Bean’s ride for Daytona was again King Autosport’s second team, #92, owned by Bean’s relative Mario Gosselin. This time, Bean would drive the same orange, blue, and white-colored scheme as the car Gosselin finished 19th with at Talladega in May. Martin Roy, another Canadian racer who had driven for Gosselin since 2014, would drive the team’s primary #90 Gamache Truck Center / Cote Chevrolet. Roy would go on to finish a career-best 21st on Saturday, improving on his previous mark of 28th last month at Michigan. Bean was technically the slowest of the 37 cars who participated in the opening practice session, though he aborted his only timed lap. He did not participate in Happy Hour. In qualifying, Bean faced stiff opposition from a 44-car entry list that would be trimmed to 40 starters in Saturday’s race. While the rules allowed everyone to run just a single lap, Bean prevailed with a 27th-fastest lap of 176.894, besting even Roy’s 30th-best mark of 176.339 mph. 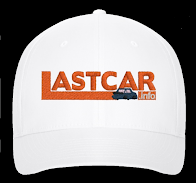 Among the four drivers who missed the field was current 2015 LASTCAR leader Jeff Green, who managed just the 43rd-fastest lap in his unsponsored TriStar #19, and both Motorsports Business Management cars of team owner Derek White and ARCA veteran Mark Thompson. Thompson’s #13 Phoenix Air Dodge was originally locked into the field with the 32nd-best time, but failed post-qualifying inspection. Thompson’s spot went to 41st-fastest Derrike Cope in his flat black #70 Evergreen Fabrication & Industrial Services Chevrolet. At the start of Saturday’s race, Bean surrendered his 27th starting spot and fell to the rear. He was still running at the back of the pack on Lap 4 when Bobby Gerhart’s #85 Lucas Oil Chevrolet spun off the nose of Joey Gase’s #52 Faith of our Fathers / SupportMilitary.org Chevrolet exiting Turn 4. Gerhart slid into the wet infield grass and dug up a sizeable chunk of the turf with his splitter. Gerhart continued on for the Lap 7 restart, but Bean pulled off the track at that instant, ending his night in another “start-and-park” effort. Finishing 39th was the #89 Racing With Jesus / Courtney Construction Chevrolet of Atlanta last-placer Morgan Shepherd, who has yet to finish outside the Bottom Five in any of his six starts this season. 38th went to Cope, who was not quite clear of eventual race winner Austin Dillon in the tri-oval and turned himself into the outside wall on Lap 16. Crash damage also took out Scott Lagasse Jr. in the #15 Alert Today Florida / Boy Scouts of America Chevrolet. His car damaged in an early collision, Lagasse’s hood flapped up during the race’s first half, causing enough damage to the car for him to stop for the night. Rounding out the Bottom Five was Brennan Poole in HScott Motorsports’ #42 DC Solar Chevrolet, the result of the first of two grinding multi-car accidents that slowed the action in the middle stages. The accidents allowed several small teams to shine when the checkered flag fell. Dakoda Armstrong put RPM’s #43 WinField Ford in 6th, setting a new career-best finish for the Indiana driver. Johnny Davis’ venerable JD Motorsports had two cars in the Top 10 with teammates Harrison Rhodes in the #0 Flex Seal Colors Chevrolet coming home 9th ahead of Ross Chastain in the patriotic Flex Shot / Watermelon.com Chevrolet in 10th. For Rhodes, it was his first top-ten finish in his 27th series start. For Chastain, it was his third in just 22 starts. But most impressive was the 5th-place run earned by owner-driver Benny Gordon. Gordon, a four-time champion of the X-1R Pro Cup Series, purchased Vision Racing earlier this year after Tanner Berryhill’s #17 team closed following a disastrous SpeedWeeks. Two months ago at Talladega, Gordon made his first XFINITY Series start since 2012 and put Vision’s #17 Toyota 13th at the finish. He returned Saturday at Daytona with a new car number - #66 - and sponsorship from Somerset Regional Water Resources. Gordon ran in the Top 10 for most of the night, avoided all the night’s chaos, and despite a smoking right-front fender in the final laps, earned his first finish better than 12th in his 20th series start. *Bean is the first driver to sweep both XFINITY Series last-place finishes at Daytona since Jeff Green did in 2012 driving TriStar’s #10 Toyota.